I have limited manual dexterity. In fact copulating baboons are usually considered to be less sausage-fingered than me. Occasionally in moments that may or may not involve alcohol, I am convinced that the long rectangular google typing box, goes all la bouche and mouths 'now what you absolute muppet' at me, as I affront it with my 97th typographical gerrorb (you see!) of the day. However sometimes, just sometimes, this particular human frailty of mine manages to throw up a surprising benefit and the discovery of Lewsberg is such a case as they were entered my life from the ashes of yet another failed google search that led me to their 3 track Downer EP (see review here), which I quickly fell in love with, to such an extent that cyber stalking stalking front man Arie Van Vilet for an interview (see here) seemed the unavoidable action. Thankfully, little has changed since their debut EP, which is hardly surprising considering two of the tracks are from the EP (Non-fiction Writer and Chances) and the opener is one of those throwaway minute long efforts that indie-type bands love to start their albums off with. 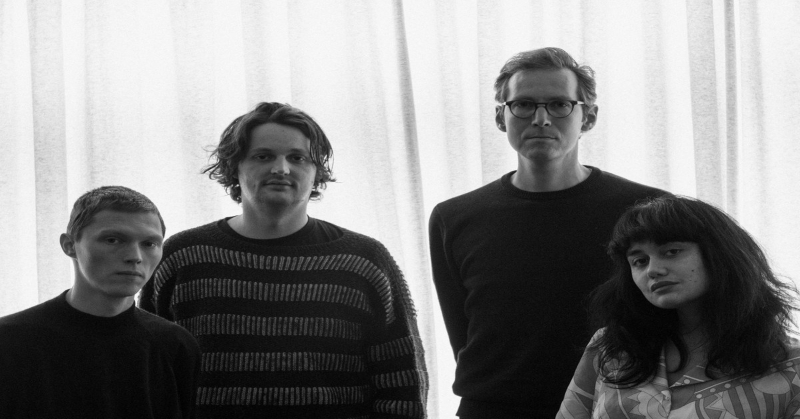 As such their first vinyl release (The Downer EP was on download and beautiful beautiful cassette only) effectively gives a five track EP of new material for the already committed fan, but a superb 35 minute album for the new fan. And if you are a new fan then welcome aboard to what I like to call the 'klank train'. For Lewsberg have a sort of unique lo-fi aesthetic that is developed both from what I presume is a natural tendency towards the laconic, the usage of some sort of lo-tech production equipment (perhaps 1980s) and the sort of stuttering, juddering approach (think a much more platonic version of Australian band UV Race meets The Velvet Underground as the nearest imaginary reference point) to whatever distorted mid tempo melody they wrap their lassez faire attitude to. All of this is held together by a lead guitar that brilliantly and dryly 'klanks' behind half spoken word vocals in superb tracks such as Non Fiction Writer, Terrible (see above) and the albums true stand out, the superlative The Smile (below), where the 'klank' gets its own unique version of jangle on. For genuine fans of the band and the Downer EP, this album was much anticipated, not only for its presumed brilliance, but also as it was obviously likely to contain the sequel to The Vicars Cross (Pt.1) and as such our intrigue as to what happened within the marriage of the Vicar and his one-armed wife would be appeased. With typical Lewsberg perversity, this time the story is told through the emotions of the wife as Shalita Dietrich takes lead vocals as she tells of tragedy whilst in typical Lewberg style, also ruminating upon the logistics of one arm hugs. A truly brilliant track. 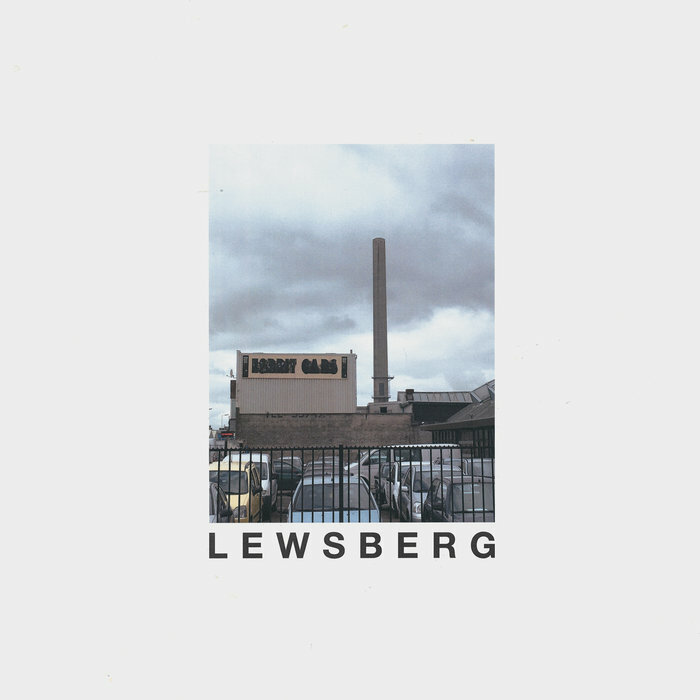 Lewsberg, have something of a sardonic sense of humour and this, coupled with the spoken word vocal delivery and laconic, deliberate, klank filled melodies may not be to everyone's taste...but they should be! 30 mins live set from Utrecht gig 11/11/17....superb!